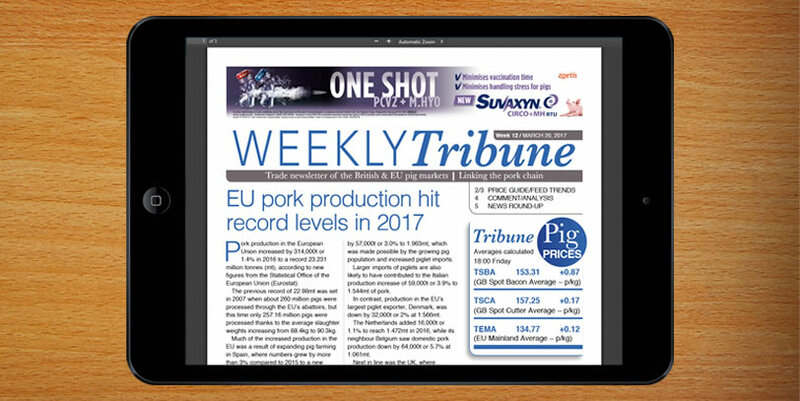 The Weekly Tribune is a pdf based online newsletter for the UK and EU pig industries. It is an entirely paid for service. The Weekly Tribune contains detailed pricing information and other important data as well as high level comment and analysis of these markets. To subscribe or for more information please contact us or call 01825 983125.